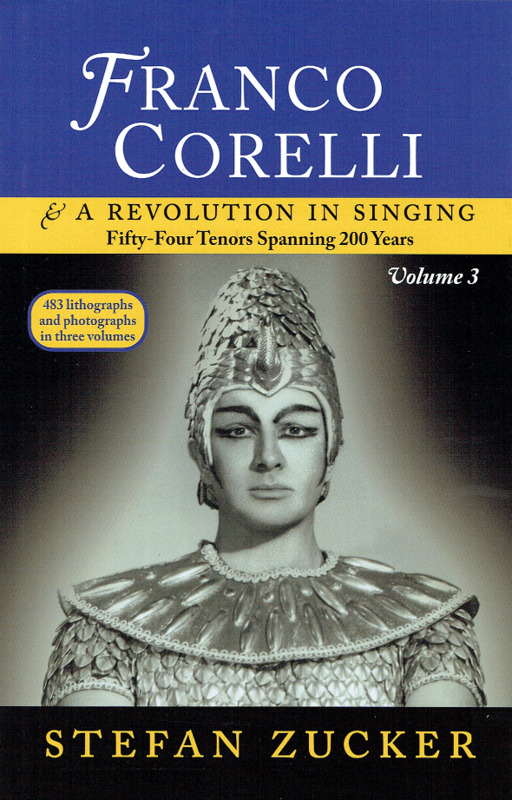 “Stefan Zucker’s first two volumes were fascinating and informative, however Volume 3 can now be considered a ‘must’ and is compulsive reading….He now begins gradually to wind up his analysis of how both Corelli and Del Monaco, possessors of potent vocal material, blocked each other’s careers….Questioned about female partners on stage [Corelli] mentions some colleagues with whom he had experiences, both problems and pleasure in working with. 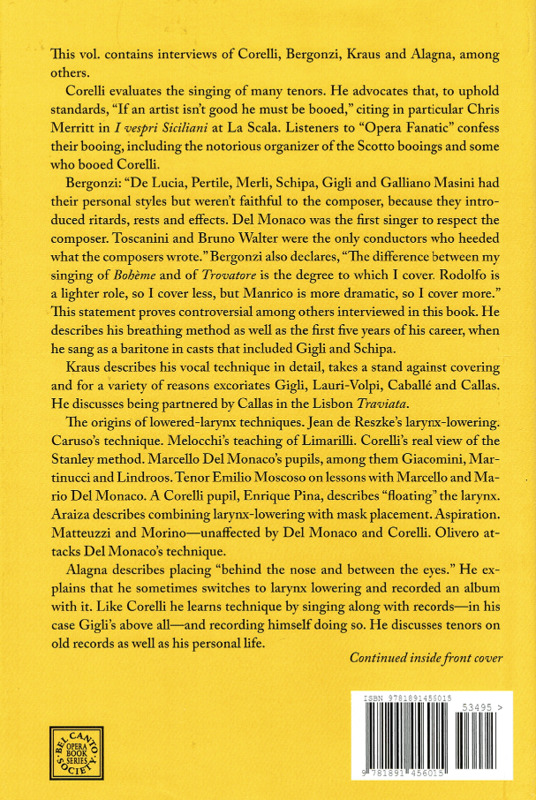 These included Birgit Nilsson, Maria Callas, Giulietta Simionato and Zinka Milanov….There is an interesting interview with Carlo Bergonzi, considered to be a paragon of style, who, as Stefan Zucker points out, also exhibited the virtues of musicianship by observing the composer’s directions and demonstrating an ability to sing a good legato, with clarity of enunciation…. To conclude, and in bringing his survey very much up to date, Stefan Zucker discusses vocal placement, timbre, musicianship, artistry and strengths and weaknesses by classifying and reviewing in great detail some recordings….